Marty is a native of Tampa, Florida but has spent most of his life and all of his professional career as a resident of Louisville. He is a 1979 graduate of the University of Tennessee School of Business Administration. Immediately following his graduation from the University of Louisville School of Law in 1982, Marty joined and subsequently became a partner at the Louisville law firm of Weber & Rose where he practiced for 20 years. He joined Phillips Parker Orberson & Arnett in 2001 and has practiced here as a partner in the firm since then. The primary focus of Marty’s practice is in the defense of medical and hospital negligence civil actions. His local and national clients are located throughout the Commonwealth of Kentucky and range from all disciplines of medical specialties to institutional healthcare providers including tertiary care centers, community and long-term acute care hospitals, dialysis facilities, immediate care centers, and nursing homes. He is admitted to practice before the trial and appellate courts throughout Kentucky, as well as the United States District Courts for the Eastern and Western Districts of Kentucky. Marty is a member of the Louisville Bar Association where he served as Chairman of the Health Law Section. He is a member of the Kentucky Bar Association and was a founding member of the Medical/Legal Committee of the Jefferson County Medical Society. 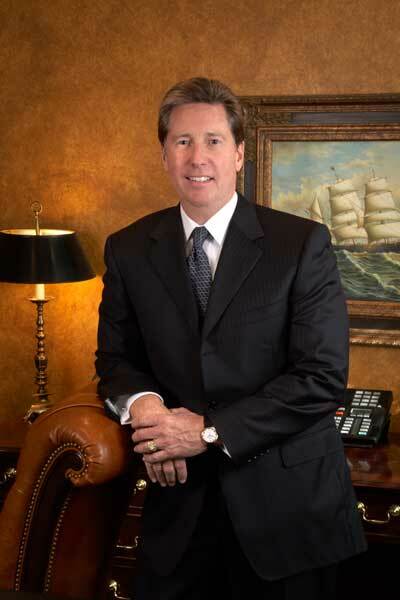 He is rated AV by Martindale-Hubbell and has been selected by his peers for inclusion in, and is currently listed by, both the Best Lawyers in America and Super Lawyers. He has lectured on various medical/legal and risk management topics at the University of Louisville School of Medicine, as well as numerous meetings and conferences of healthcare providers, attorneys, claims representatives, and risk managers. Marty and his wife, Angela, have been married for 32 years. They have two lovely adult daughters, Alexandra and Alyssa as well as a son-in-law, Beck Lewellen. He enjoys golf, and together with his family, travel, thoroughbred horse racing, and the beach as often as possible.